Starts with a Free Foundation Inspection. We are proud of our inspection process. It is built around collecting information for our clients and empowering them to make informed decisions. 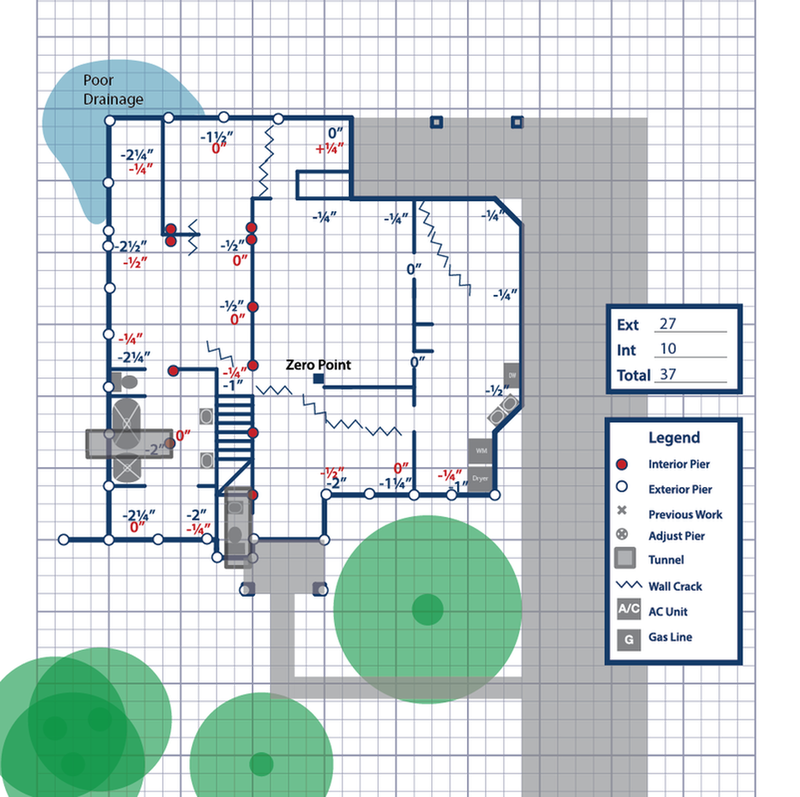 We gather high precision altimeter measurements of your foundation,explain the findings and leave you with a detailed proposal of what we can do for you. Expect our visits to be scheduled quickly, on time and easy to understand. We proudly use the Zip Level to find the variations in your slab when inspecting it. Then as part of our quality control, we use the Zip Level to dial your slab back within reasonable tolerances. 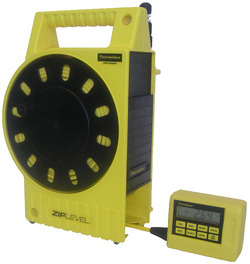 If other foundation repair companies are not using this, how are they assuring you that your foundation is level? Pressed Concrete Pilings consist of a stack of 6 inch diameter, 12 inch long concrete cylinders cured to 7000 PSI and driven to refusal. Typically 18-25 feet deep in clay soils is the point of refusal in this area.